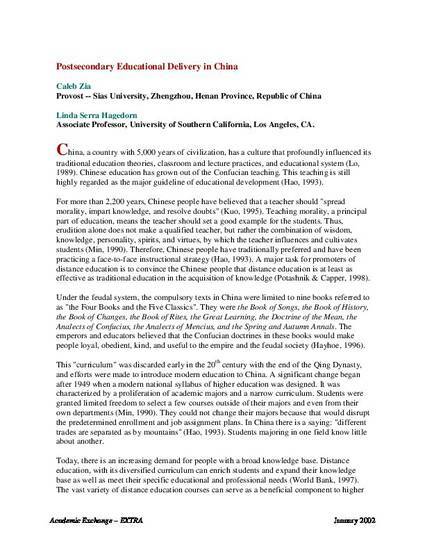 China, a country with 5,000 years of civilization, has a culture that profoundly influenced its traditional education theories, classroom and lecture practices, and educational system (Lo, 1989). Chinese education has grown out of the Confucian teaching. This teaching is still highly regarded as the major guideline of educational development (Hao, 1993).